Lu Bird Baby: Daffodillies Giveaway! "Daffodillies is a boutique that started as a hobby, girls just having fun. A mom and 2 of her daughters love getting together to create. We love to make handmade things and spending time together. With Daffodillies we get to do both! As one of the daughters, I have 4 children, two of them are twins. I was tired of the same pink and blue clothes that were in every store. I wanted other colors and fun trendy styles. So I started to tie dye. I don't like the bright tie dye but I love the vintage look. And so that's what you'll find at our store. Nothing funner than bringing home a new baby from the hospital in a vintage tie dyed onesie with a gold peace sign on the front! 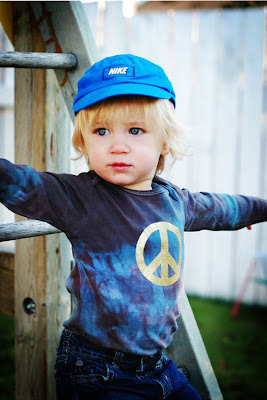 At Daffodillies we create original one of a kind baby, toddler, and kids clothes for boys and girls. We also have accessories for hair and clothes, kid and adult aprons, hand tied quilts, carseat blankets and so much more! Daffodillies gives you the opportunity to be original!" Don' be scared of messes. There is a special place in my heart for all things polka dot. And a special place in Mackenzie's heart for all blankets. This belongs in our house. 4. Leave a comment telling us what you are thankful for today! I love the Olive green and brown polk dot with chocolate brown minky fabric blanket. I'm absolutely in love with the tie dye onsies! 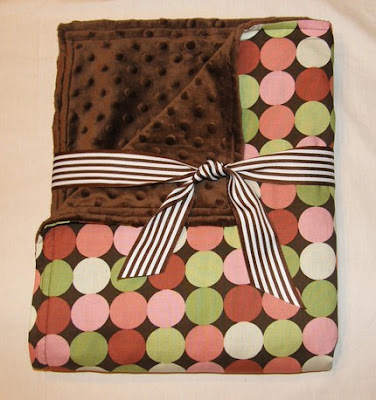 I love the olive green and brown polka dot blanket! I am very thankful for my wonderful husband, our two sons and daughter-in-law and our 5 precious grandchildren!! I love the pink and brown polka dot blanket. I am thankful for my sweet husband and our two girls. So sweet! I'm a follower! Love the blog. I am thankful for so much! But most especially, my friends and family and the love I have for all of them. the tie dye onsies are great, so original! I am thankful for my hubby and son. I love the gorgeous tutu. so cute! Today I am very thankful that no one got hurt and that the man who took my bumper off in a parking lot today was a good christian person and is paying for repairs. Hope I win, I'm a nanny and just don't know what to get the girl I nanny for, for christmas! I love the flatter me comfort skirts!! So cute and I like anything that makes me look slimmer!! 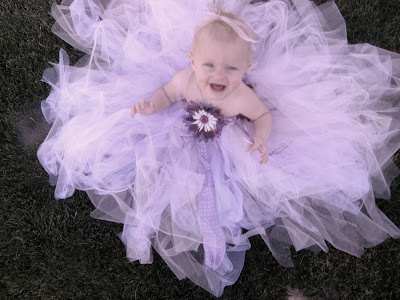 I LOVE LOVE LOVE the purple tutu. I'm thankful for the cooler weather and going on vacation next week!!! I ♥ the Purple Tutu! I am thankful that my kids are healthy and happy! I like this car seat blanket...great idea! Today I am thankful that my mum is coming to visit me. She'll keep the kids distracted while I plow through our mountain of housework and errands! My son would be a stud in this great top of theirs! I follow you blog, just found it glad i did! I am very greatful for my family and especially my hardworking husband! I love Vintage red tie dye Christmas onesie with Santa's -Ho Ho Ho- appliqued on the front! I am thankful for my husband and daughter. My husband works hard to support us and I just simply have the best daughter ever! Their skirts are the best! I love the brown & olive green polka dot blanket. I am so thanksful for my family! I am so blessed to have them. I couldn't ask for anything more. Olive green and praline pink polk dot with chocolate brown minky fabric blanket for baby!! Today i am SO grateful for My Children and My husband who is such a hard worker for our family!! 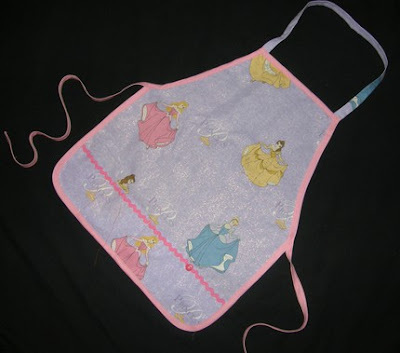 Kid's Strawberry Shortcake play apron took my breath away! it's so cute! I'm thankful for a healthy lungs to breath fresh air, and thankful for the air too, and healthy digestion system to get everything nice from anything I eat, therefore thankful for the food, ...I can go on and on, but I thankful for today for my health. If it weren't for health, I wouldn't be able to love and nurture my baby as I do now. 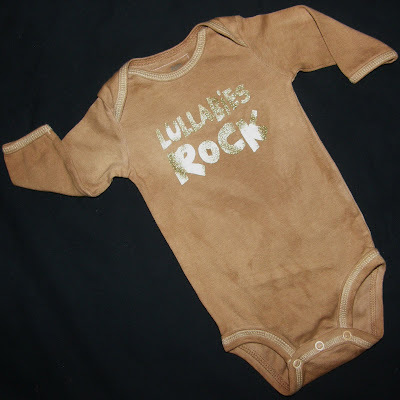 I love the Lullibye's rock onsies. It's too cute! My favorite thing by far. The polka dot blankie is so snuggly cute!